Ferdinand Drops by Koalakrane Machines Soon! HomeFerdinand Drops by Koalakrane Machines Soon! 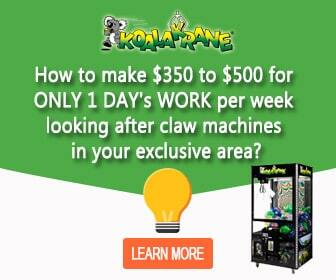 Get ready for an un-BULL-ievable surprise coming soon to Koalakrane machines near you! That’s right—Ferdinand and his league of quirky animal friends will be up for grabs at your favourite skill tester machines! You may have been wondering about all the hype for 20th Century Fox Animation’s upcoming children’s flick, “Ferdinand”, and there’s a reason for it. “Ferdinand” teaches kids to be true to themselves and to always follow their hearts. It’s truly the perfect movie for the entire family! Get ready to meet Ferdinand, Baby Ferdinand, Una, Dos, Cuatro, and Lupe with our stunning Ferdinand soft toy collection. Before hitting the cinemas, head on to the nearest Koalakrane machines for a chance to snag a cute and snuggly Ferdinand plush toy! Available in three different sizes and with six various characters to choose from, these Ferdinand stuffed toys are truly eye-catching that kids will love playing to collect them all. And who says only they can get to play? The Koalakrane experience is meant for the whole family! Keep yourself updated on these upcoming claw machine prizes that will surely capture your hearts!